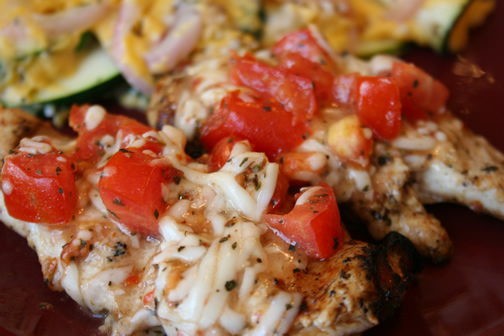 I found your recipe for the Grilled Bruschetta Chicken through Menu Plan Monday and wanted to thank you! It sounds delicious. If the grill isn't covered with ice this week, DH might even do it outside! Otherwise I'll convert for the broiler. I included your recipe in my MPM for this week. Thanks again for sharing! 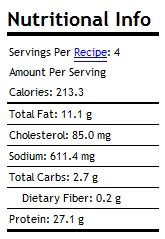 Bobbins, if you look at the recipe, you will see that it calls for Kraft Sun Dried Tomato dressing.